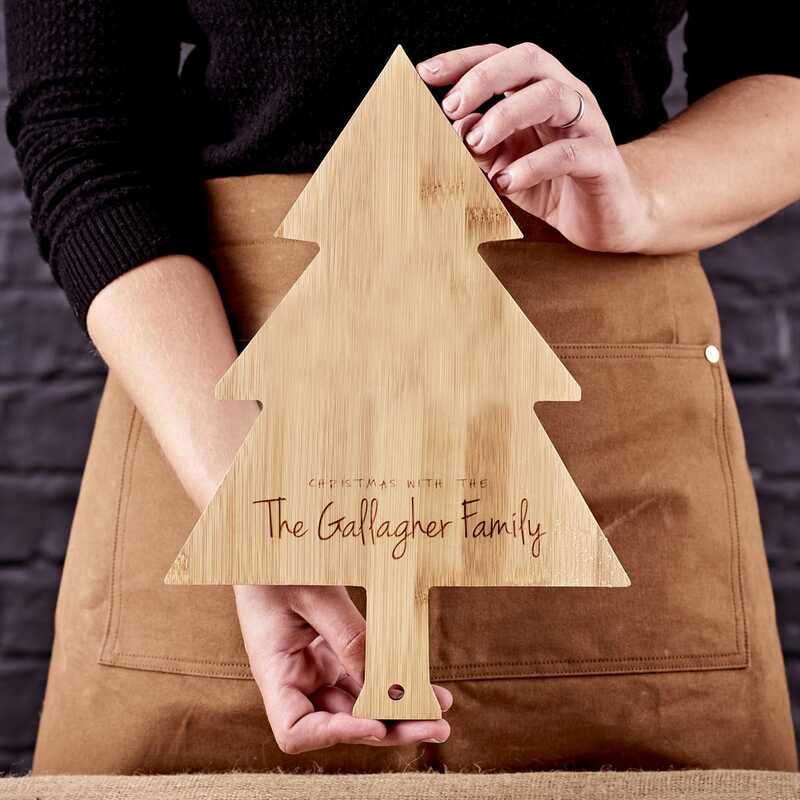 This adorable Christmas Tree Personalised Serving Board will make a wonderful centrepiece at any Christmas table. Carved into a Christmas Tree shape, it can be engraved with a family name, or special message of your choice. Create a great surprise for Santa’s arrival by adding all the children’s names and it will quickly become part of a tradition on Christmas Eve. Made from food safe environmentally sustainable Bamboo, it can also be used to serve tasty treats on special Christmas occasions. A perfect Christmas gift for any family or just for somebody special. Our Christmas Tree Personalised Wooden Serving Board is made from environmentally sustainable Bamboo.